Four months ago we had our fourth little boy! What a joy he is to all of us and the bigger boys just adore him, although I wonder how they’ll feel when he starts stealing their chocolates! These are some of the comments I have received from others on having four boys; “How special”, “Oh shame!” “ Sucker!” “How wonderful!” As we go through life and continue to get these remarks, I wonder how it will affect how the boys think of or feel about themselves – positive or negative, true or a lie? I wonder if they will feel OK with who they are, or whether they should have been someone else. I wonder what you feel about yourself? As I get older and wiser, it has become apparent to me that society has certain boxes we need to fit into, to be considered ‘good enough’, but what happens if we don’t fit them? Does that mean we are not successful and, even worse, are we a mistake? What is success, anyway? Is it to be rich? Is it to be good at sport? Is it to be beautiful, or is it to be first in class? What happens if you have none of these attributes? Are we good enough without them? I need to know that it is ok to just be me, even if I don’t possess any of these ‘goodies!’ Are your children good enough if they don’t fit into any of these boxes? I reckon the truth is a great place to start to answer that question, the million-dollar question: AM I GOOD ENOUGH, IF I AM JUST ME? Let’s start right from the beginning of our lives. Even before we were conceived, God said that he knew us, and not only knew us, He wants to help us. Which means He cared for us and we were important to Him before we even achieved a high score for a maths exam, or owned the latest iphone. (Isaiah 44:2.) God, who made you, has something to say to you; the God who formed you in the womb wants to help you. 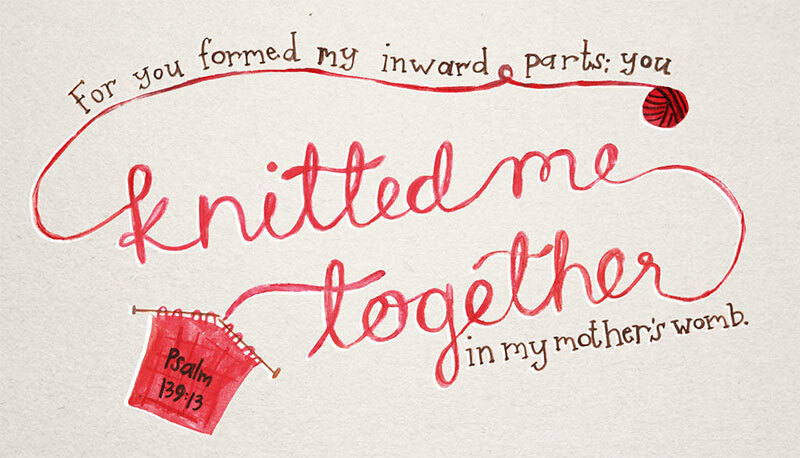 Psalm 139:13-16: Oh yes, you shaped me first inside, then out, you formed me in my mother’s womb. I thank you High God you are breathtaking body and soul, I am marvellously made! I worship in adoration, what a creation! You know me inside and out, you know every bone in my body, you know exactly how I was made, bit by bit, how I was sculpted from nothing to something. Like an open book, you watched me grow from conception to birth, all the stages of my life were spread out before you. The days of my life all prepared before I had even lived one day. This verse brings great comfort to me, knowing that while we were in our mother’s womb He was doing the forming, and watching us, getting excited to have us be born. He made us bit by bit, even the ‘funny bits’ that we may not like. God doesn’t just like those bits; He loves those weird things about us. OK, so God made us, now what? Does He have a plan or a purpose for us? And how do we know what it is? DOES GOD HAVE A PERSONAL PLAN FOR ME? If David Livingstone did not have a strong personality, be able to preach, be determined, and be able to treat the sick, he would not have been able to do the works God had planned for him. God has given each of us gifts, talents and abilities to do the works planned for us. God has a plan for every life. Jeremiah 29:11. Our circumstances are not accidental but are planned by Him. He is not aiming to produce facsimiles but He wants to develop personalities, so He treats us as family, not robots. All the stages of our lives are spread out before God; He said He will INSTRUCT YOU, TEACH YOU, COUNSEL YOU, WATCH OVER YOU. This to me sounds personal and individual. What do you think? So, are you a mistake? The answer is “no”. God knit you together in the hidden place; He wants you to be here, He has plans for you and they are good plans. The question is, will we listen to what God says about us or what the world says? Will we accept ourselves as God already has or get exhausted trying to be good enough for the world? Now that we can ‘see’ that God has a personal plan for us, HOW DO WE KNOW WHAT GOD WANTS US TO DO? from the book “The Purpose Driven Life” by Rick Warren. 3. DO – Is there something you need to change in your life? How? When? Where?